Thanks for tuning in for the next part of the Cape Verde summary. 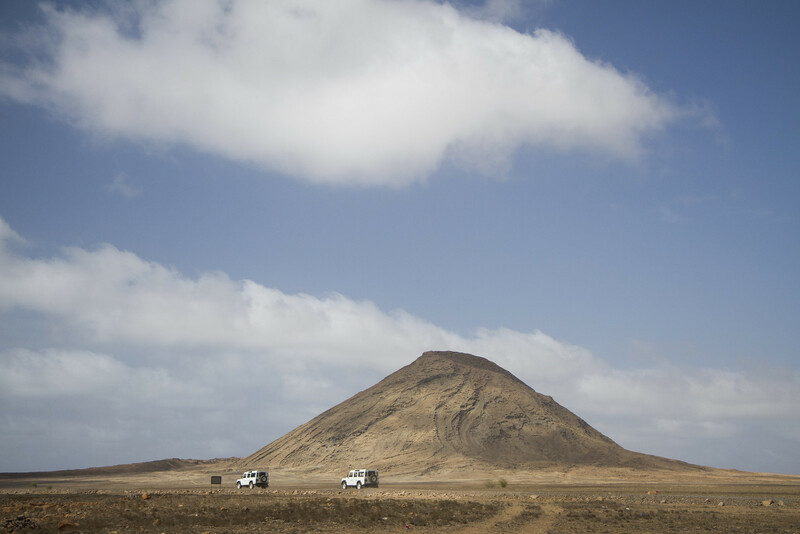 During our trip we booked a guided tour with our travel agency to see some of the more remote parts of the island. We were a quite large group doing the tour and traveled in Jeeps in order to be able to get to all the places that were included on the tour. At one o’clock we were picked up at our hotel in the Jeep and after meeting up with the rest we started out along the west coast of the island. 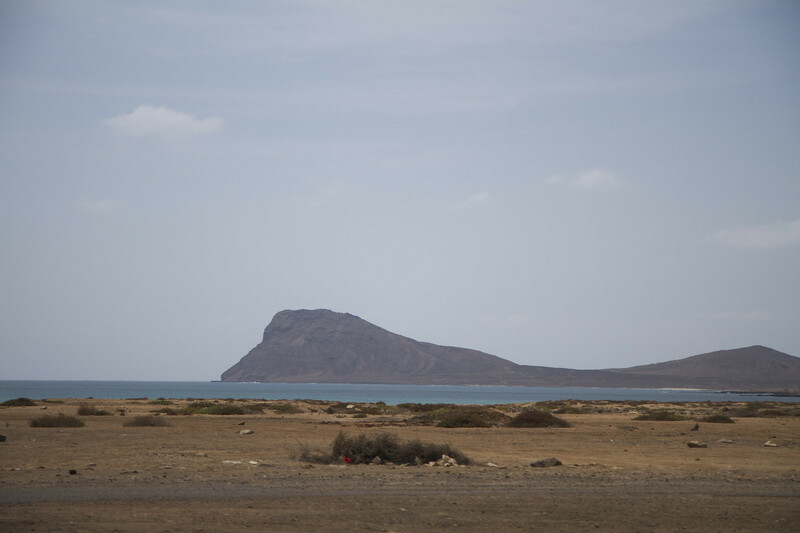 The first stop was the Murdeira bay, where we saw the lion mountain that allegedly protects the island of Sal. It was far from obvious to see the “lion” though. See for yourselves, can you spot the lion? The lion mountain from the Madeira bay. Next we traveled further along the coast to the main port of the island. As mentioned before there is a lot of import to the island and consequently a lot of activity in the harbor. Despite the high quantity of goods being transported through the port much of the handling was done manually and rather than having cranes and containers to move the goods about all products were shipped the last bit, from the large boats to shore, by small boats and basically by hand. 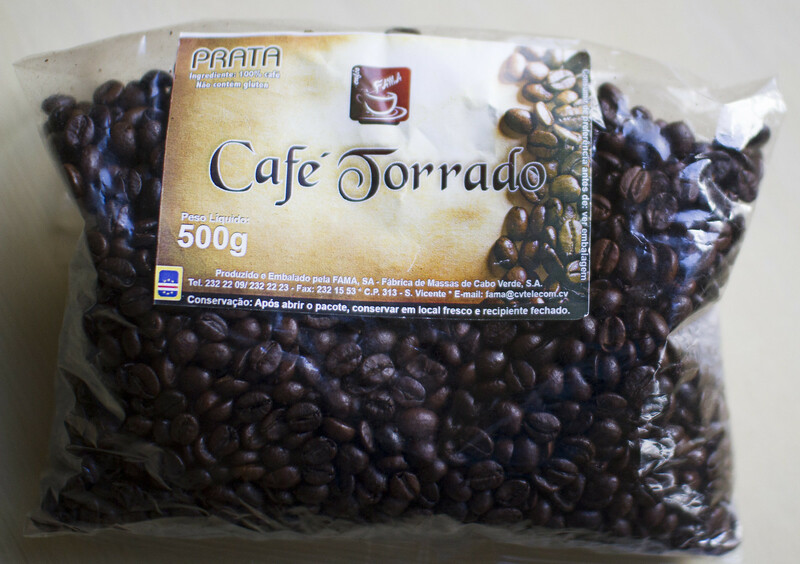 Before leaving we managed to get our hands on a package of Cape Verdian coffee, which is produced on the island of Fugo. Our next stop, after a quite bumpy ride through the desert, was the Baracona cliffs. If one happens to be there at the right time of day and at the right period of the year, it is allegedly possible to see a quite nice effect where the sun rays hit a small opening into a water filled cave and produce a wonderful blue glister in the cave. We were there a bit too late, so the sun had already passed, unfortunately. The cliffs were however really nice. Large black walls right to the sea. One could really see the wear and tear that they had had to endure from the water washing over them through the years. Our two fellow Jeeps in front of one of the four “mountains” on Sal. The two of us at the top of the Baracona cliffs. On the way to the east side of Sal we went through the capital city, Espargos. It was nice to see that they’re building a lot of apartments for the citizens that at the moment are living in shanty towns. On the east side, we visited the Shark bay! We were lucky and saw a shark, well at least the fin of it. Not too exciting, but nice to have been to the east side of the island. Then the final and most exciting stop, the saltines. 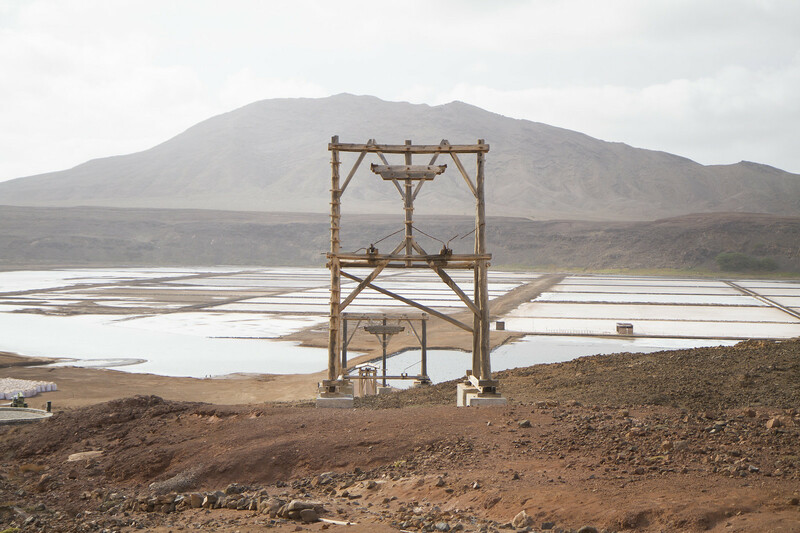 It has a lot of history and a lot of salt have been produced here. But we were there to get a salty bath in one of the pools that you can spot in the picture below. The water was almost as salty as in the Dead sea and you could simply not sink. It was even difficult getting your feet down, they were just floating back up again. The saltines and the transport equipment used to get the salt to the harbor. The tour only took four hours, and we managed to see the most interesting parts of Sal during that time. We’re very satisfied with doing the trip and learn more about the island and country. I am from Utah. It is fun to see what other people call mountains. In Utah I would call the four mountains hills. Looks like lots of fun. Well to be fair I guess it should definitely be called a hill and not a mountain. Especially since it is merely 400m high. But compared to the otherwise flat island it felt large ;).